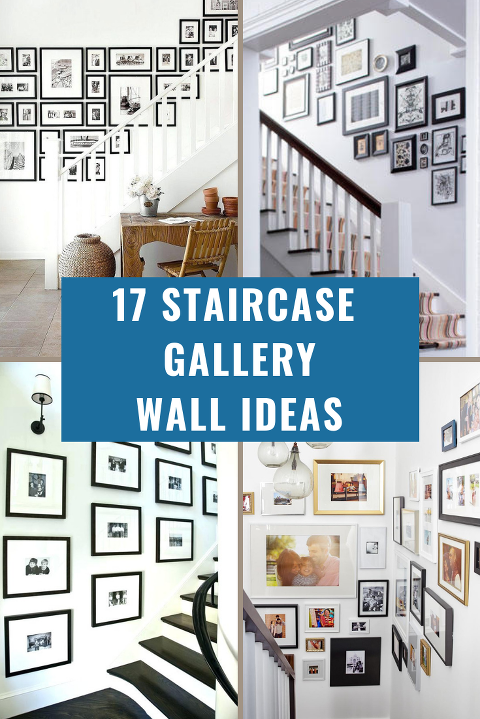 Update the look of your home and add some personal touches with these modern, beautiful and inspiring staircase gallery wall ideas. We moved into a house last year that we love. I realized once we moved in that because of the open plan and where our windows and doors are located that there isn’t a lot of wall space to hang pictures or art. I kind of miss having family pictures around and then I realized we have a lot of wall space in our stairwell. I have been searching different staircase photo gallery wall ideas to get inspired for my own space. This is a roundup of my favorite ideas. I’m so excited to get started! Check out inspiration I’ve found for my master bedroom, guest bedroom, entry table and a small bathroom. Click on the link below each photo to find more information about each gallery wall. I love all the different monograms and personality in this gallery wall from Bless ‘Er House. And she does a great job going step by step how she created this look. I love that this simple wall has such an impact from Cup of Jo. 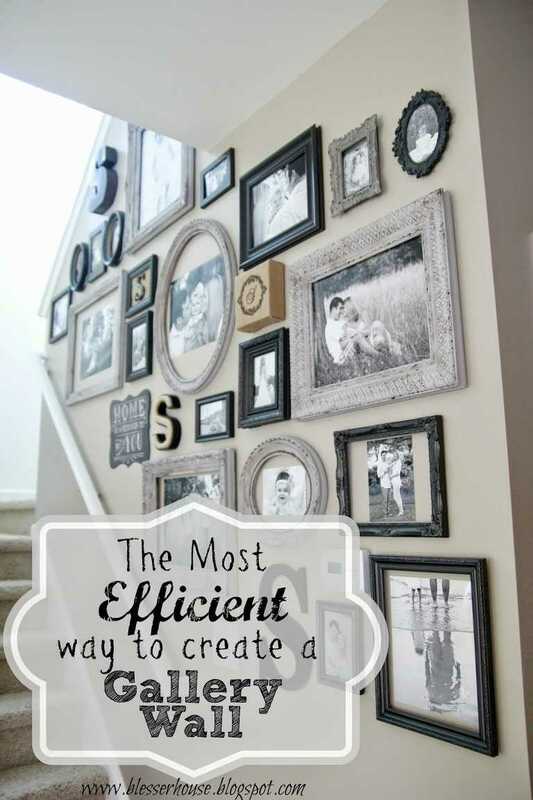 What a great way to display family memories. This is a great layout from Rm House of Noise. 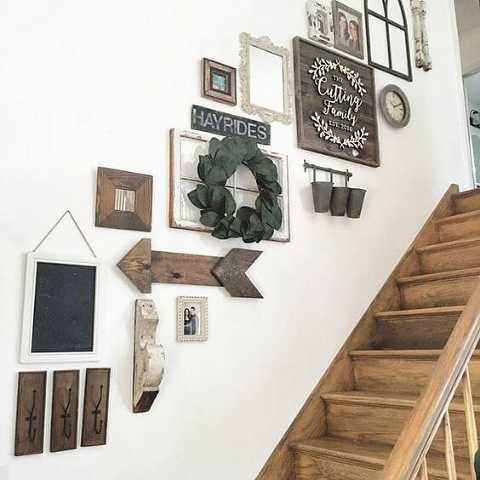 A great option for frames at the landing instead of going up the stairs from Bria Hammel interiors. Another option for black and white frames with black and white photos. I love when there is a surprise in a gallery wall. Maybe a piece or something that is a little unexpected and that’s how I feel about the butterfly. This is a great gallery wall from here. I like that this is a little different with the frames touching. Find this gallery wall at Thrifty decor chick.